The suspensions for Conor McGregor and Khabib Nurmagomedov have been extended, ESPN.com reported. The two MMA fighters will be banned from fighting “indefinitely” as the Nevada State Athletic Commission continues its investigation into the brawl that occurred after the pair’s fight at UFC 229 on Oct. 6. Originally, Nurmagomedov (27-0) and McGregor (21-4) were placed on 10-day suspensions on Oct. 15. 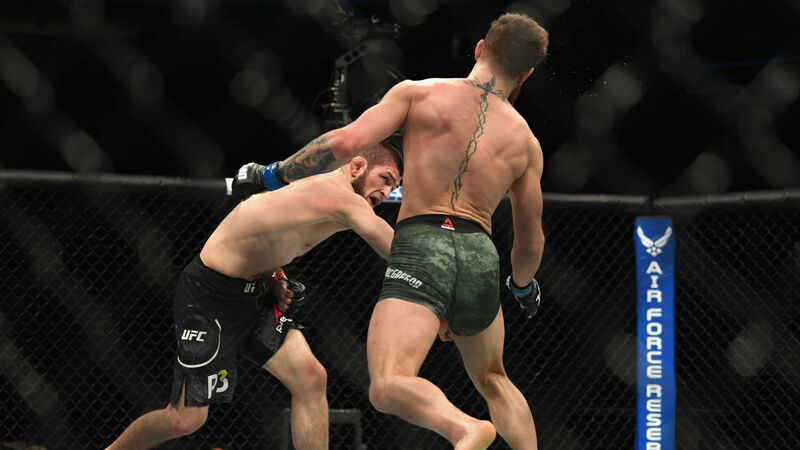 “I understand that the Nevada State Athletic Commission is doing a thorough investigation, which I am confident will benefit my client, Conor McGregor,” the fighter’s manager, Audie Attar, said. Despite the suspension, the NSAC allowed for $1 million of Nurmagomedov’s $2 million winnings to be released to him. Until this point, the commission had withheld the purse from Nurmagomedov as the investigation into the fight started. Once the investigation is done, the NSAC will file formal complaints against Nurmagomedov and McGregor. The complaints will determine further punishments. McGregor, who returned the Octagon after nearly a two-year hiatus, was defeated by Nurmagomedov in the fourth round of their fight. After he was declared the winner, Nurmagomedov was seen going to McGregor’s corner. McGregor was seen throwing punches, inciting a massive brawl.